The University of the Fraser Valley women’s basketball squad wrapped up its preseason preparations with a 75-63 loss to the Victoria Vikes at the Hoopfest Invitational Tournament, hosted by the Alberta Pandas. The Cascades were shorthanded on Saturday, as Kate Head, Katelyn Mallette, Jessica Zawada and Elissa Vreugdenhil were unavailable due to injury. After trailing by as many as 13 points in the third quarter, the Cascades trimmed the deficit to five on a Taylor Claggett layup late in the frame to make it 52-47. 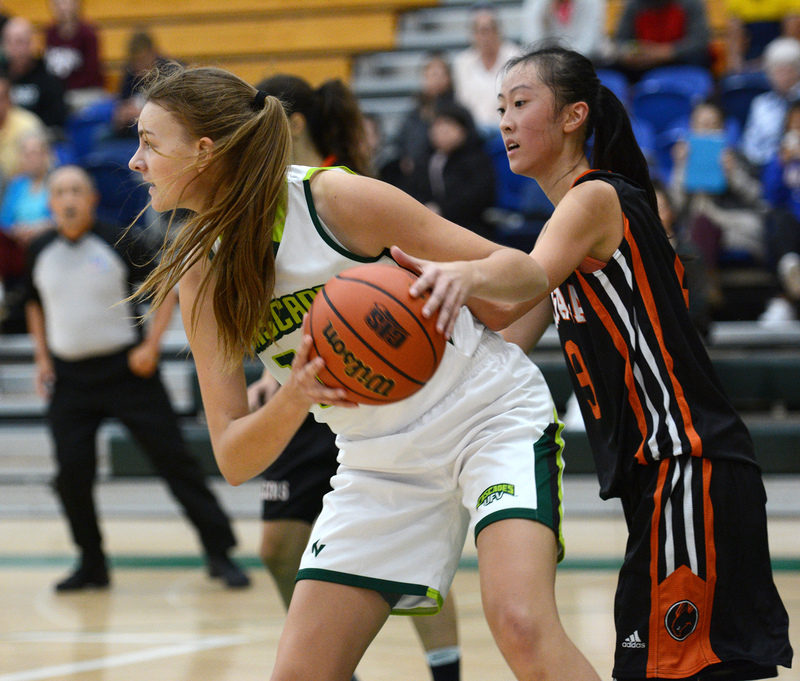 The Vikes, though, reeled off a 7-0 run early in the fourth to stretch the lead back to double digits, and they kept UFV at arm’s length the rest of the way. Claggett paced the Cascades with a game-high 24 points to go with four assists, and Amanda Thompson counted a trio of three-pointers among her 11 points and added six assists. With all of UFV’s injury absences, Abby Zawada and Natalie Rathler stepped into the starting lineup, and registered seven and six points, respectively. Alexis Worrell, Veronica Kobes and Madeline Beerwald also took on extra minutes off the bench, and Kobes had a particularly strong outing with six points in 13 minutes. The Vikes had five players in double figures, led by Calli McMillan with 16.